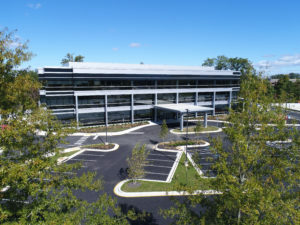 The new Virginia Urology headquarters in the Stony Point community of Richmond is now fully open to patients. A ribbon cutting ceremony was held earlier this month to celebrate. Clancy & Theys served as the general contractor on the project, partnering with real estate developer Highwoods Properties. 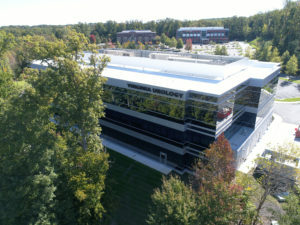 The three‐story, 90,000‐square‐foot medical facility includes operating rooms, exam rooms, an imaging center with a CT and mobile MRI, office spaces, pre‐ and post‐op bays, and a pathology/histology/cytology department. Clancy & Theys also constructed a 102,000‐square‐foot precast parking garage with 325 spaces to accommodate staff and patients. Virginia Urology has seven office locations throughout central and southern Virginia, as well as two licensed and accredited ambulatory surgery centers. 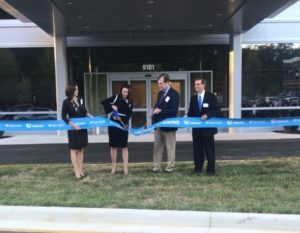 The practice prides itself upon its long history of providing quality care to the greater Richmond area, and the new headquarters will provide a state‐of‐the‐art facility for its highly skilled physicians to treat patients. Learn more about the Virginia Urology project here.